New National Park Cements Ties with Blackstone Heritage Corridor, Inc.
Transitions are always a little confusing but the relationship between the Blackstone River Valley National Historical Park and the Blackstone River Valley National Heritage Corridor appears on the surface to be a bit muddled. That’s understandable! 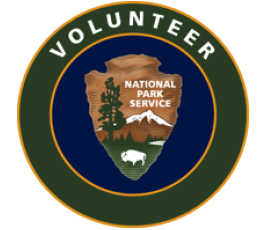 Aside from the similarity in names, the Heritage Corridor was affiliated with the National Park Service for 26 years and managed by a Federal Commission. Today, the Heritage Corridor is managed by Blackstone Heritage Corridor, Inc., a 501-c3, non-profit that works in partnership with state, municipal, and federal agencies, as well as local businesses, non-profits, educational institutions, and residents to preserve and promote the Valley’s historic, cultural, natural and recreational resources for current and future generations. Recently, Congress expanded the Corridor boundaries to include the Town of Auburn in Massachusetts and several neighborhoods in Providence, Rhode Island including the Jewelry District, Downtown Providence, and the Woonasquatucket River Corridor. The new unit in the National Park System, the Blackstone River Valley National Historical Park, actually fits within the Heritage Corridor boundaries. Park staff will continue working with Blackstone Heritage Corridor, Inc. to define this new and exciting relationship as we build on the past successes and investments of the National Heritage Corridor and embark upon telling the story of industrialization in the Blackstone River Valley. View the latest newsletter from Blackstone River Valley National Historical Park here!